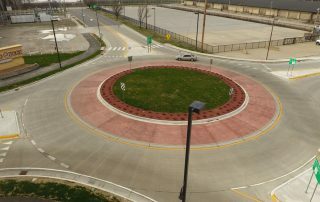 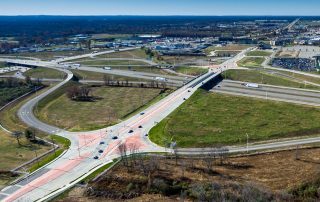 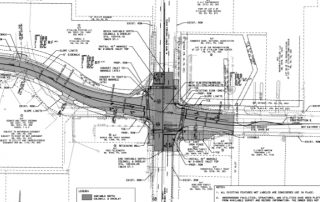 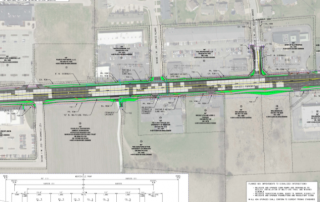 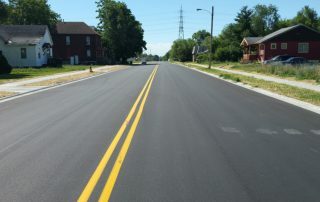 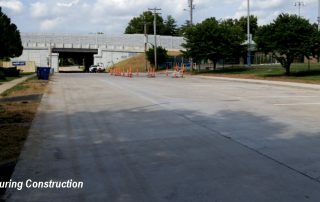 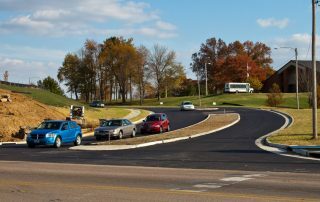 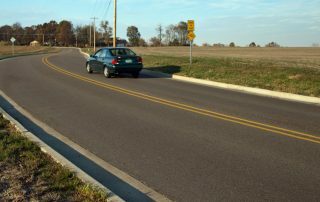 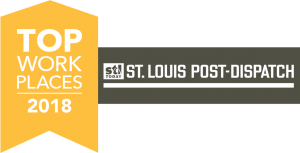 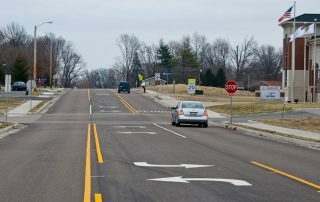 Poplar Street Roadway Reconstruction - St. Louis Engineering Firm | Thouvenot, Wade & Moerchen | TWM, Inc.
Road engineering design services were provided by TWM using 100% local funds. 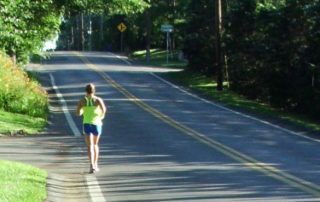 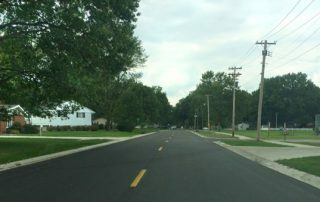 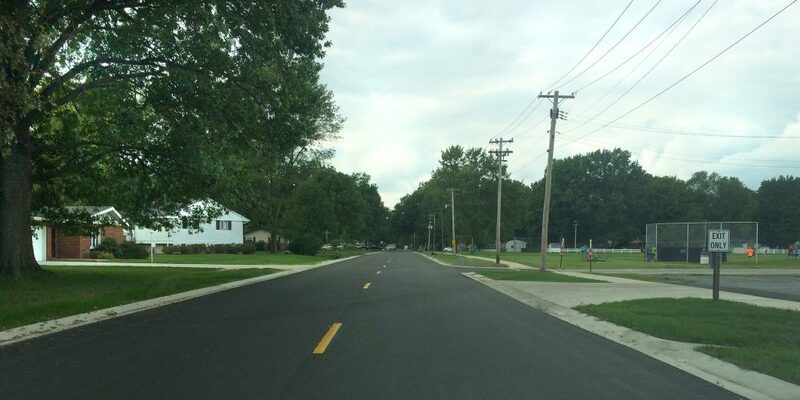 The City of Mascoutah hired TWM to design the reconstruction of 0.3 miles of Poplar, from 6th Street to 10th Street. 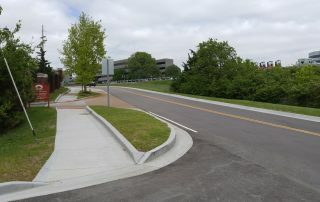 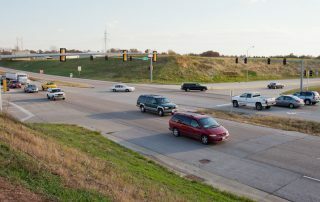 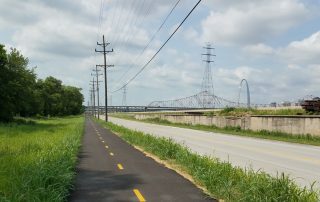 The existing high-crown oil and chip roadway was replaced with new HMA pavement, V-gutter, and a 5’ sidewalk along one side. 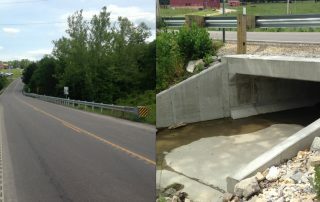 Drainage was particularly difficult due to extremely flat terrain, and shallow drainage outlet points, which TWM addressed through a combination of open ditches, swales and enclosed storm sewers. 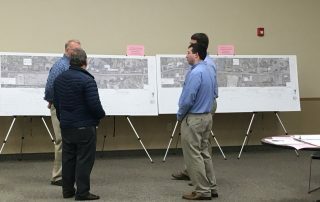 Other responsibilities included coordination of utilities; public meetings; preparation of plans, specifications, and cost estimates; and preparation of land negotiation documents.